A crisp white shirt, the boyfriend jean, a tuxedo blazer — women have a knack for adopting male-centric style items and making them their own. It’s no different for watches. 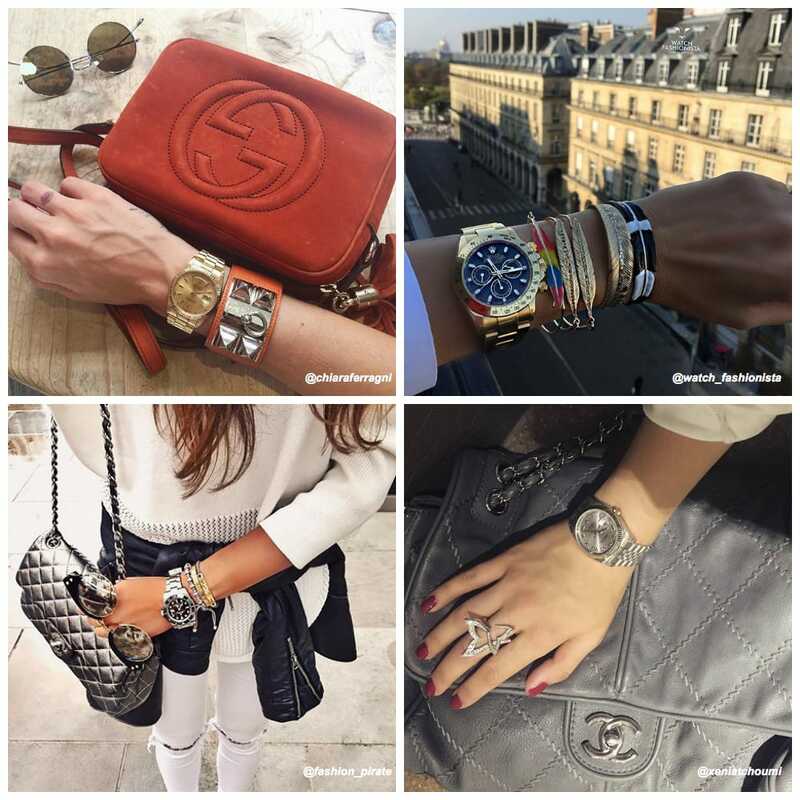 Whether it’s the aesthetics, size, or superior movements within, plenty of women have chosen to sport watches originally crafted for the male clientele because, well, ladies’ watches are sometimes just too feminine. We’re not always looking for diamonds, mother-of-pearl, flowers, and dainty butterflies. 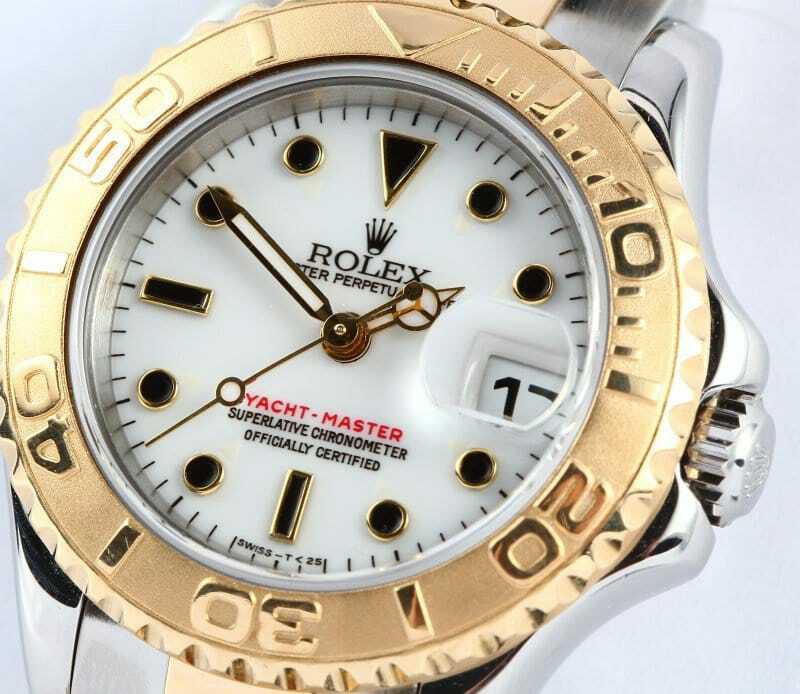 Sometimes, we just want robust, masculine lines or technical dials that scream: “Here’s an awesome watch!” A quick scan of Instagram will show you plenty of cool chicks out there rocking a traditionally “male” Rolex and proudly posting their pics to prove it. Women are beginning to wear men’s watches. An interesting option is to take a man’s Rolex and change up the strap to tailor it to one’s style and wardrobe. 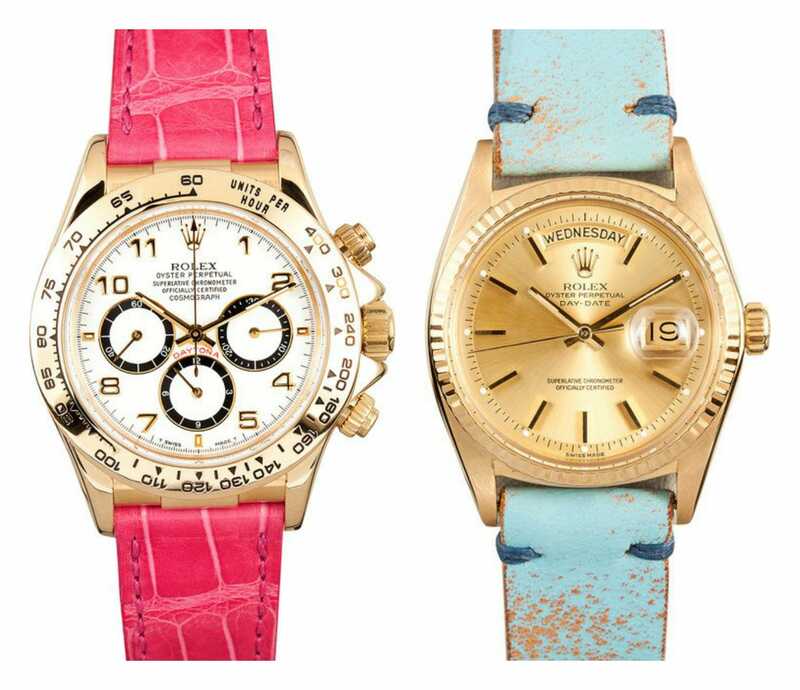 Take for example the Daytona 16518 customized with a hot pink leather strap. Or the President Day-Date 1811 accessorized with a distressed turquoise leather strap. They deliver a beautiful marriage of his and hers. But again, originally made for him and cleverly converted into hers. You can instantly change the look and feel of the watch with the straps. Yes, Rolex has delved a little into offering women slightly larger watches (Pearlmaster 36) and more sporty watches (Yacht-Master midsize), but we want more. What about a Submariner, GMT, or even a Daytona crafted especially for ladies? I know plenty of women who dive, travel, and race cars, and even those who don’t, still want a really cool watch to wear. There are also those ladies who switch from wearing the Datejusts they’ve owned for decades to mens’ ones because they can’t read the tiny faces on theirs anymore! A mid-size Yacht-Master 69623 can be a unisex watch. One of my favorite watches is the stainless steel and black Submariner. This watch is a unisex timepiece, while it may seem a little larger on the wrist of the ladies, it can still commonly be found on women. Wearing a watch like a Submariner is the perfect watch for nearly every occasion whether you’ll be attending a party or casually going to the beach. In addition, you can easily change the look of your watch with some fab pieces of leather straps that can offer a better fit. Perhaps an impossible fantasy, but wouldn’t it be great if Rolex offered the ladies some timepieces that were a little less sweet and bit more swagger? Until then, I guess I’ll just have to be content with digging through his watch box to find the perfect wrist candy or buying a man’s watch and tinkering with it until it fits me just right.